History’s sometimes ironic: Arizona’s Fort Defiance, created in 1851 to subdue the Navajo, is now the site of a VA effort to extend services to American Indian veterans living on and around the vast Navajo reservation there. George Lawson, a licensed clinical social worker who’s helped vets off and on for more than 20 years, has been assigned to Fort Defiance’s Indian Health Service (IHS) Hospital for the past one and a half years. His official role is post-traumatic stress disorder (PTSD) counselor, but he’s become the local vets’ main contact with the VA. “I have widows who come in with pension questions,” Lawson notes, “and veterans from all eras — many who’ve never used VA services. “It’s fair to say this has been an underserved population in the past,” says Lawson, recognizing the challenge of connecting with these vets. “People here live in very remote, isolated locations. There are miles between houses, and most people live miles off the pavement, so transportation is often impeded by the weather, including snow and mud. “One patient told me: ‘I can get to a morning appointment, when the ground’s frozen, but not one in the afternoon, when the road turns to mush.’” Poverty in the area means some vets don’t have access to transportation at all. Lawson sits in on psych rounds at IHS and picks up the vet cases. He also visits surrounding hospitals and helps the staffs understand veterans’ special needs. 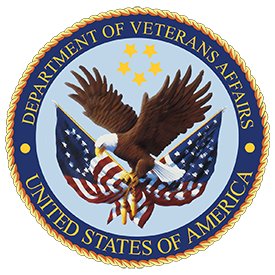 In its Southwest region annual report, the U.S. Veterans Administration wanted to showcase exceptional VA employees and the way they positively affected veterans’ healthcare. I wrote this story based on a phone interview with George Lawson. This was just one of a series of articles I wrote for this annual report.